Hammer plays US Marine Mike Stevens, who finds himself trapped on a land mine in the desert after a failed assassination attempt. If he moves, the mine will explode. Exposed to the desert elements, he must survive the dangers of the desert and battle the psychological and physical toll of the treacherous conditions, remaining motionless for two days waiting for help. 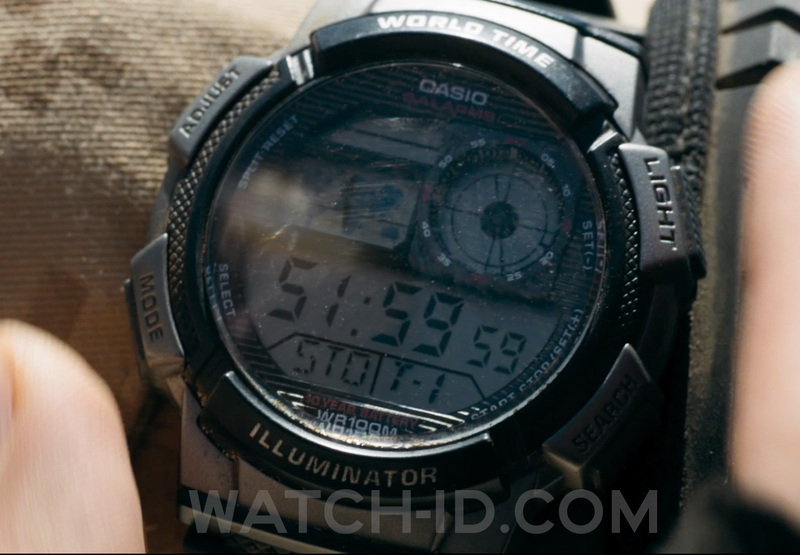 During those days, the character often uses his Casio AE1000W-1BV watch, which is featured prominently in some full screen shots in the film. 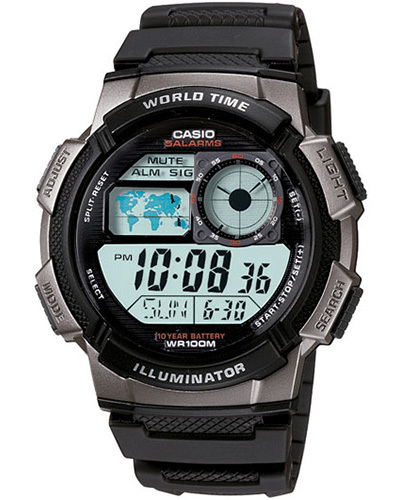 The Casio AE1000W-1BV is available on Amazon for only $17, and features 5 alarms, world time, stopwatch, Illumination screen a 10 year battery and is water resistant up to 100m.